In an ongoing effort to ensure the revolutionary C-Leg® microprocessor-controlled knee can be utilized by as many amputees as possible, Otto Bock Health Care has approved the Lo Rider carbon fiber prosthetic foot for use with the C-Leg. 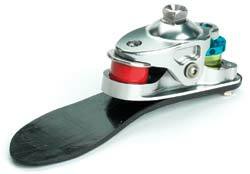 The extremely lightweight and highly responsive Lo Rider foot only needs 1 1/8" (29mm) of clearance. By combining the C-Leg, the 2R90=110 pylon and the Lo Rider foot, only 13.75" of distance is needed from knee center to the floor. Otto Bock's other qualified feet include the 1E40 LuXon Max, 1C40 C-Walk, 1D25 Dynamic Plus, 1A30 Greissinger Plus, and the 1D10/1D11 Dynamic foot. The compulsion for innovation continually drives College Park to advance technology and performance. Meet the Venture: a paragon of precise engineering that generates performance to suit your dynamic lifestyle without sacrificing comfort; it's the ultimate fusion of power and agility. 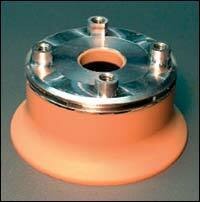 Its tack-free properties allow easy molding without special gloves. Two new motivational posters and two new technical posters are now available upon request from the Ohio Willow Wood Company. 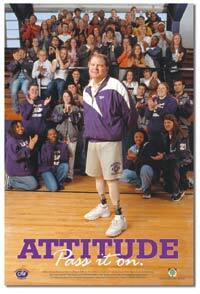 The fourth ATTITUDE poster, featuring Coach Hal Steelman, winner of the 2002 ATTITUDE Ambassador Award, should have arrived in O&P offices early this month. Also, our new Amputees Across America 2003 posters are hot off the press. For additional copies, please contact our customer care associates. New from Ohio Willow Wood is a full-size technical wall poster featuring Ohio Willow Wood feet and accessories. The poster color-categorizes each OWW foot and its appropriate accessories according to patient activity levels and weight. Also available is a 11" x 17" two-sided laminated version. 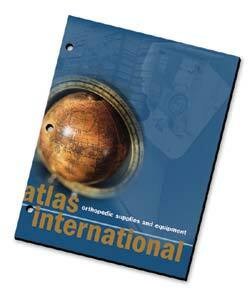 Atlas International, an orthotics, materials and lab equipment distributor, has just begun distribution of its new 144-page, full-color product catalog. This three-year project represents the first complete rework of Atlas' catalog since 1998. Marked by a complete color photo inventory, enhanced color-coded section breaks, and updated product descriptions, the new layout provides an easy and quick means to locate part numbers, visually identify products, and communicate more effectively when ordering. Call or visit our website to request your complimentary copy. 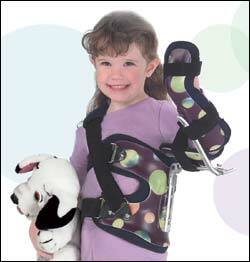 The Lerman Pediatric Shoulder Abduction Rotation Orthosis (SARO), recently introduced by Becker Orthopedic, is now available from PEL Supply Company. The low-profile SARO is applicable for pre- and post-operative management of the shoulder joint and paralysis or damage to the brachial plexus (Erb Palsy), as well as for prevention of upper-extremity joint contractures, for brachial plexus exploration and nerve repair, and for soft tissue surgery, including tendon transfers. The Becker SARO is just one of over 300 products included in PEL Supply's latest Children's Prosthetic and Orthotic catalog. 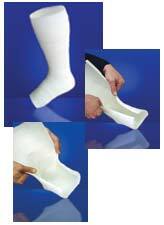 Ossur announces the improved Total Knee 2000®. 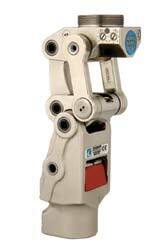 The Total Knee 2000 has been reengineered by adding needle bearings, retaining rings, and an improved extension assist. 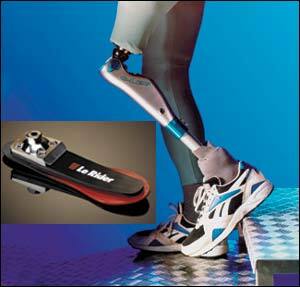 The unique 7-axis design, which imitates true knee motion and provides a more natural gait. Now every Total Knee 2000 comes with a two-year warranty. OPTEC Inc., in its progressive vision for the future, launches its new CD "E-Catalog 2003," a multimedia flash presentation in a compact disk format for PC users. This electronic version of the catalog is another way to explore OPTEC. The new E-Catalog provides practitioners an in-depth overview of OPTEC's high-quality products and services. The menu-driven design allows for quick and easy navigation. The E-Catalog contains a wealth of information, including new products, award-winning services, and educational media.